Fridays @ 7pm - this January only! 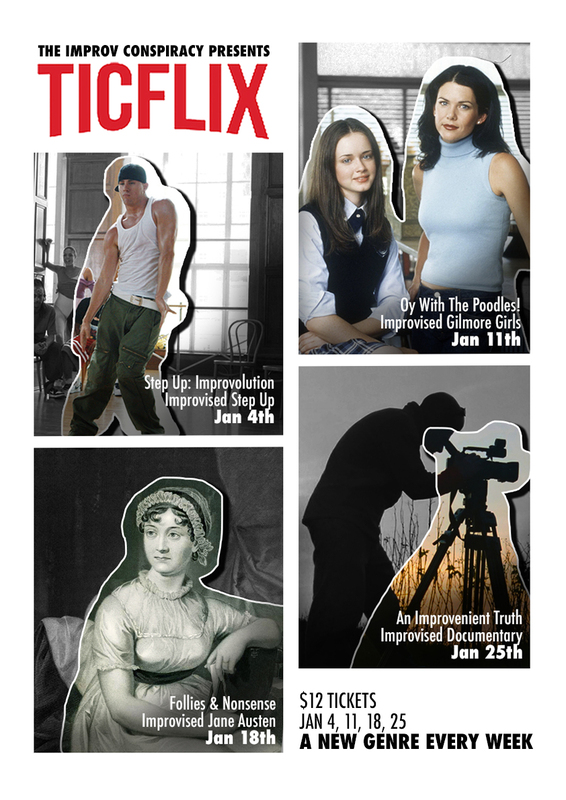 Streaming every Friday night in January, TICFLIX is a series of one-off improvised genre shows featuring talented, unique casts each and every week. Watch as our stellar improvisers bring to life an electrifying dance movie, an insightful documentary, a sweeping period drama and an episode of Gilmore Girls, all on the TIC stage! Expect fancy costumes, sporadic dance breaks and a whole lot of laughs. Sorry, there are no scheduled sessions for this show at the moment!